UCSF's Robert Lustig in his viral video "Sugar: The Bitter Truth"
If universities had “rock stars,” we’d definitely have one on our hands with Dr. Robert Lustig, a pediatric endocrinologist at the University of California, San Francisco. He may not carry a guitar or have flocks of cheering fans, but Dr. Lustig has earned himself a lot attention since his 90-minute talk, “Sugar: The Bitter Truth,” went live on UCTV’s YouTube channel in 2009. 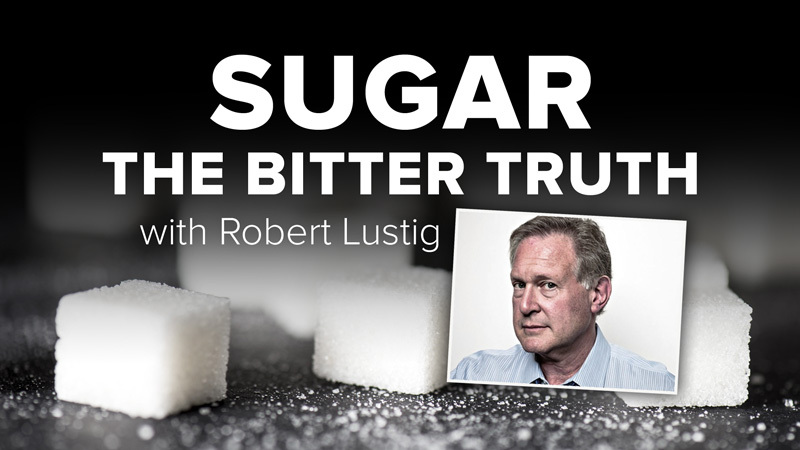 In the video, Dr. Lustig urgently explains how his research points to sugar as a toxin that’s fueling the global obesity epidemic. To date, his message has been watched more than 2.1 million times on YouTube and downloaded another 1 million times through iTunes. It also inspired a much talked about New York Times Magazine article by Gary Taubes and sparked a national conversation. The spotlight will get even hotter this Sunday night, April 1, when Dr. Lustig appears on CBS’ “60 Minutes” to discuss his alarming research. Beneficial information and excellent design you got here! I want to thank you for expressing your ideas and putting the time into the stuff you publish! Great work! A Note to the above article: Sucrose is comnmoly known as table sugar and sometimes called saccharose. A white, odorless, crystalline powder with a sweet taste, it is best known for its role in human nutrition. The molecule is a disaccharide composed of glucose and fructose and traditionally it was obtained from sugar cane.Glucose syrup was the primary corn sweetener in the United States prior to the expanded use of High-fructose corn syrup (HFCS) production. HFCS is a variant in which enzymes are used to convert some of the glucose into fructose. The resulting syrup (90% fructose) is sweeter and more soluble. Corn syrup is also available as a retail product. In the U.S., HFCS is among the sweeteners that have primarily replaced sucrose (table sugar) in the food industry. Factors for this include governmental production quotas of domestic sugar, subsidies of U.S. corn, and an import tariff on foreign sugar; all of which combine to raise the price of sucrose to levels above those of the rest of the world, making HFCS less costly for many sweetener applications. I am often to blogging and i really appreciate your content. The article has really peaks my interest. I am going to bookmark http://myuctv.tv and keep checking for new information. I’d like to start a blog so I can easily share my personal experience and feelings online. Please let me know if you have any kind of suggestions or tips for brand new aspiring blog owners. Appreciate it!